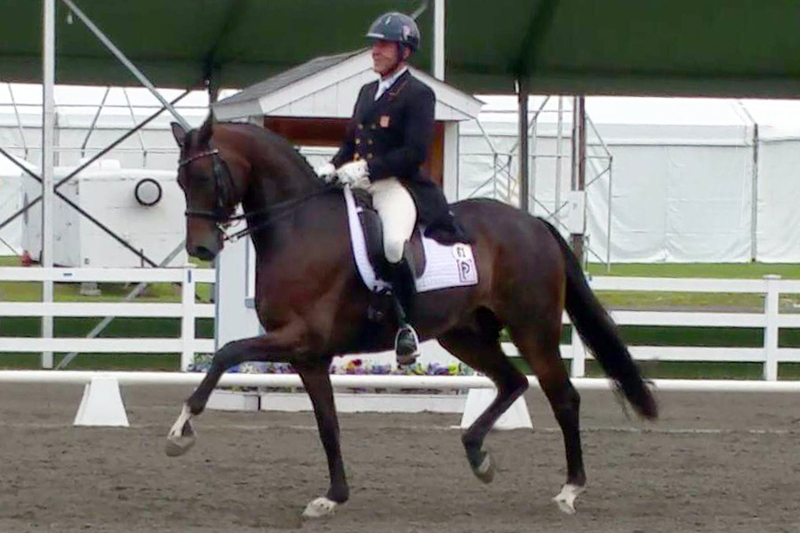 In 2012, Dr. Cesar Parra made his first trip to the Lamplight Equestrian Center in Illinois for the Markel/USEF National Dressage Young Horse and Developing Horse Championships with just one horse, Simply Nymphenburg winning the Six-Year-Old Reserve Championship. He couldn’t help but wonder why it took him so long to figure out this was probably one of the most important events he should have been doing every year, and he has been coming back ever since. Never having been to the beautiful show grounds, which has created a perfect atmosphere for young horses to be compete he wished he had brought more horses along from his Piaffe Performance training center in Whitehouse Station, New Jersey. “This place is just beautiful,“ said Parra as he arrived at the arenas landscaped with thousands of flowers. “Everyone important to the sport of Dressage in the USA is here.” With an ongoing open show running concurrently at the venue, Parra saw the opportunity to bring out more of his students and horses to see and be seen. Lamplight has one of the finest centrally located equestrian facilities in the United States has the unique advantage for a country so big to have in one location a selection of the best young horses from across the United States with their owners, breeders and trainers and coaches converging for a week of top level competition. 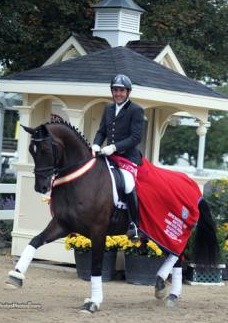 After a string of exceptional performances in front of the judges during the HITS-on-the-Hudson series in Saugerties, New York, Parra and his Piaffe Performance team have qualified three horses — Fashion Designer OLD, Toy Story, and Don Cesar— for the 2015 Markel/USEF Young and Developing Horse Championships, to be held on August 19-23 at Lamplight Equestrian Center in Wayne, Illinois. 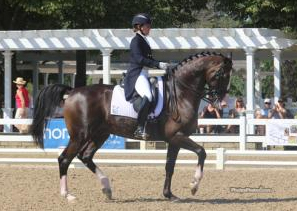 For Riley, this will be her third trip to Illinois, after placing third two consecutive years in the Developing Grand Prix, with Zanzibar in 2013, and 2014. This year she is bringing a new entry in the Developing Prix St. Georges division with Toy Story, a Dutch gelding (by Trento B x Jazz) owned by Heather Hornor. Toy Story’s strong Prix St. Georges debut at his last Florida show this season earned him a 71.90 percent. “We will compete him locally in June and do one more qualifier in July to prep for the Championships,” Riley says of her mount. Also keeping Piaffe Performance busy will be an exciting entry in the Five-Year-Old division, Don Cesar, owned by Dr. Cesar Parra and his wife Marcela Ortiz Parra who will be ridden by Katie Riley. “ We first met Don Cesar as a foal at his mother's side at Hengststation Beckmann in Germany with our good friend Mathieu Beckmann,” said Riley. “Don Cesar had star quality already as a baby, doing transitions extended trot to passage flawlessly, and we all fell in love then! Fashion Designer OLD, owned by Martin Sosnoff and Dr. Cesar Parra, will be competed at Developing Prix St Georges level by Parra. The Oldenburg gelding (by Faustinus x De Niro) earned 75.66 percent at his last show in Florida. “He will probably do one more qualifier in July to tune-up for the Championships,” Riley expects. 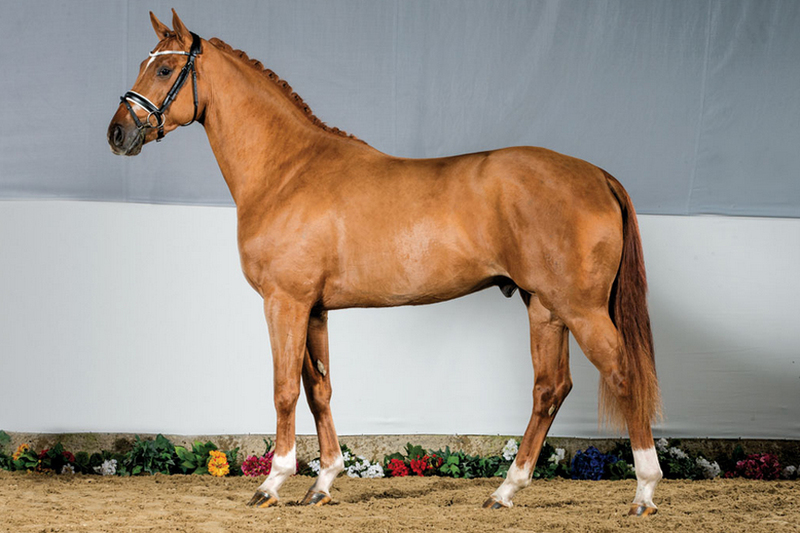 In 2013 he was the Five-Year-Old Champion and finished third in 2014 in the six-year-old division with Nadine Buberl riding for Piaffe Performance. 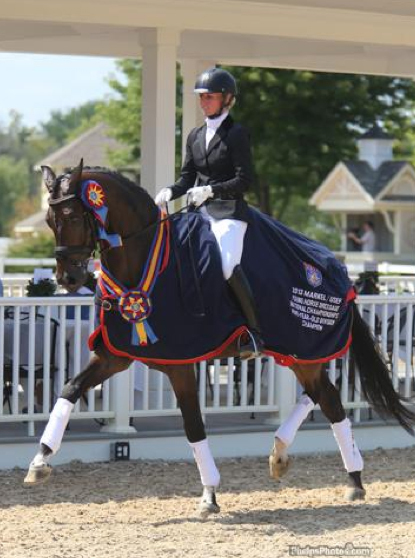 Fashion Designer Old Returns to the Markel/USEF National Developing Horse Championship for the third year. “With Fashion it was love at first sight! I saw him in Germany as a 4 year old and knew he was super special,” said Parra who works closely with Anne Gribbons in his training regimen. “I love this program! It is a great experience for these young and developing horses, and the show in Lamplight is one of my favorites,” Parra added. 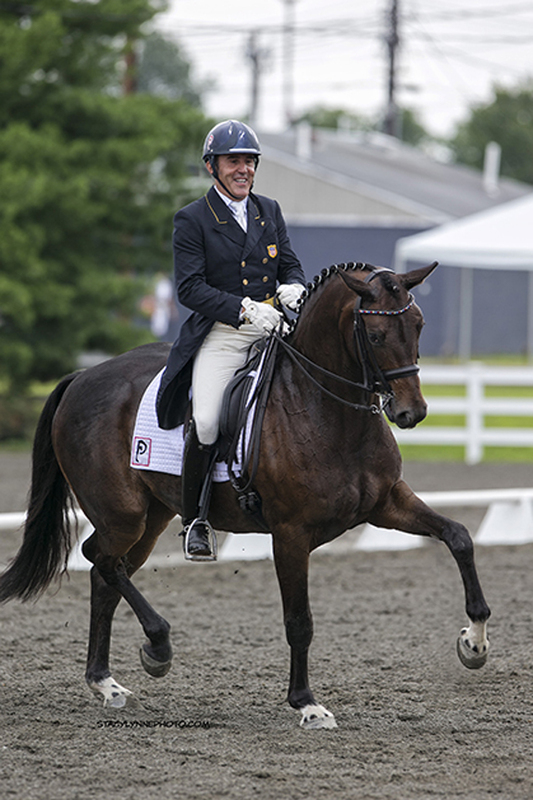 Coming off one of its strongest winter seasons ever at the competitive 2015 Global Dressage Festival, Piaffe Performance and Cesar Parra have returned to summer operations out of Whitehouse Station, New Jersey, where another rainbow of ribbons – especially blue— are already accumulating. Next, the team will be aiming for gold with their young horses in August. 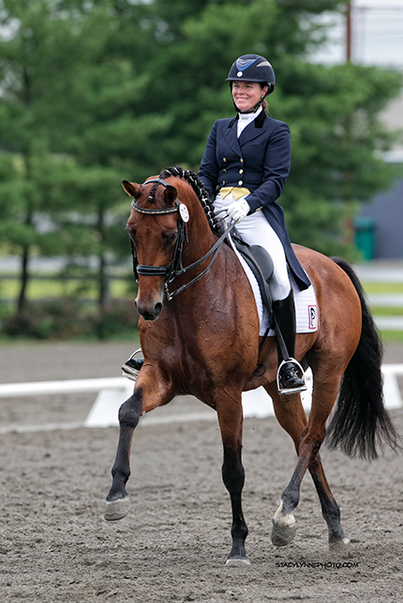 Piaffe Performance is always open to welcoming new dressage riders to its winning team. To learn more about Dr. Parra, Katie Riley, and Piaffe Performance horses, training, lessons, and sales services, please visit www.piaffe-performance.com.